Apple Launches New Models of iPad Pro, Mac Mini and MacBook Air. Apple reported that the new version of the MacBook Air is made up of 100 percent recycled aluminum and plastic. Apple has launched its new models of iPad Pro, Mac Mini and MacBook Air. This new version of the newly launched MacBook Air is made of recycled aluminum. Apart from this, the company has also released the Mac Mini and an iPad Pro. All these are expensive from their earlier versions. Let the late Steve Jobs launch the first MacBook Air. About ten years later, his successor in the company, Tim Cook, launched a new version of this PC (personal computer) on Tuesday. This PC is 1.56 cm thick than the previous 1.94 cm (0.75 in). Apple reported that this model is made up of 100 percent recycled aluminum and plastic. This change cuts its carbon footprint. Last year, Apple had announced that its goal was to create a circular production system for its iPhone. It was stated in the announcement that under this, new products will be made from recycled material. Macmini was unveiled on Tuesday. This new version of Apple's modern mini desktop computer is made entirely of recycled aluminum and plastic. Apple is not just a computer manufacturer, but in the report of Greenpeace last year, the company was told to make the environment-friendly product in the industry as the best performer. The price of Apple's new MacBook Air 2018 laptop is starting at $ 1199. Its price in India will start from Rs 1,14,900 It will be pre-booked on November 7. 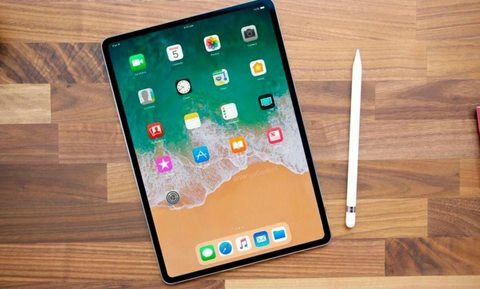 Apple's 11-inch iPad Pro is launched in four storage variants. The price of this iPad's Wi-Fi model in India will start from Rs 71,900. Cellular model variants with Wi-Fi will start from Rs 85,900. Apple's 12.9-inch iPad-Pro Wi-Fi model will cost Rs 89,900 in India. With its Wi-Fi, the cellular model will start from Rs 1,03,000. Price of Apple Mac Mini 2018 will start from Rs 75,900. This will also be available in the Indian market from November 7th. Copyrighted © 2013 GeneralStudiesManual.Inc. All Rights Reserved. Powered by Blogger.